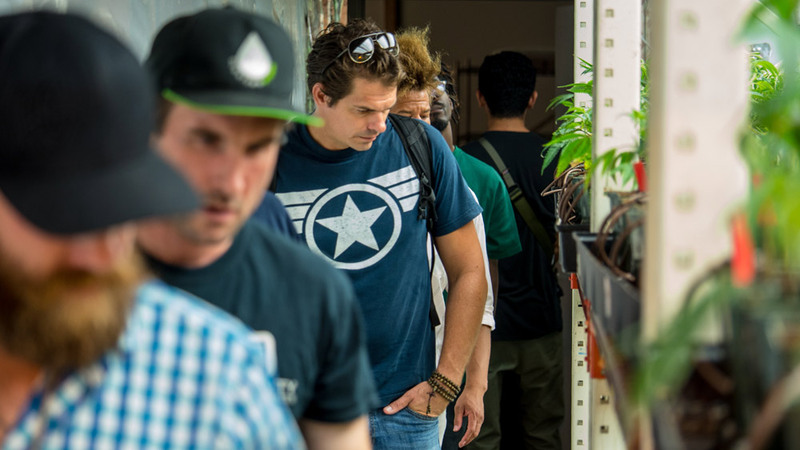 Chad Drew considers himself a veteran of not only the Air Force but also the cannabis industry. 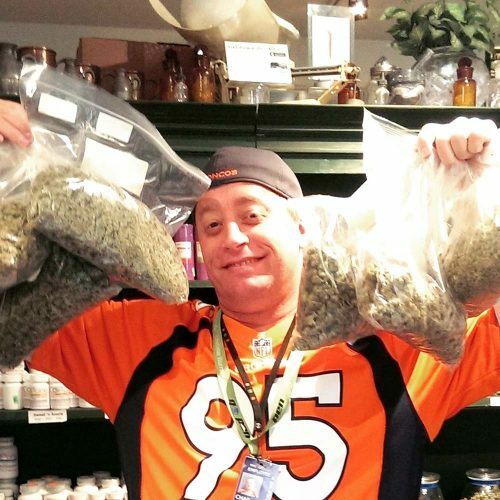 The 41-year-old is sales manager at the Colorado Harvest Company, a chain of dispensaries in metro Denver. And he believes his decision to get into legal cannabis as a profession eight years ago, after leaving the service and then finishing college, was helped by his time in the armed forces. 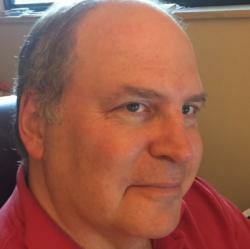 According to a recent American Legion survey, an overwhelming number of veterans support both medical marijuana legalization and further research – as a treatment option for post-traumatic stress disorder (PTSD), chronic pain and other ailments, and as an alternative to prescription pharmaceuticals that have potentially harmful side-effects and addiction risks. But that support of cannabis by veterans extends beyond politics and into the workplace, especially when it comes to job creation. A growing number of veterans are finding positions in the legal cannabis sector once they leave the service – and many are finding the skills they developed in the military are welcome within the industry. One of the more obvious job positions for veterans is to work within the armed security side of the cannabis market. Due to federal prohibitions, many banks and financial institutions refuse to set up accounts for cannabis companies, leading them to operate on a primarily cash basis. So there’s an established network of security firms that are hiring hundreds of veterans to literally ride shotgun on shipments of marijuana and cash, as well as protect dispensaries and grow operations. A large number of vets are also finding cannabis cultivation, production and retail operations to be a good fit for both their skill-set and temperament when it comes to work. 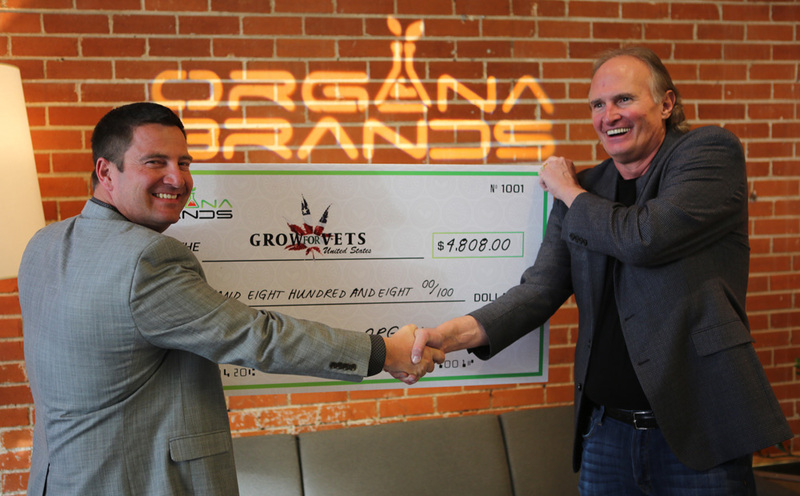 Chris Driessen is president of OrganaBrands, the Denver-based parent company for some well-known vaping, edibles and concentrate brands such as O.penVape, Bakked and District Edibles. The company currently has licensees in 11 states, employing 250 people nationwide. And about 10 percent of those employees are veterans, according to Driessen. “The veteran community pairs so well (with our business), regardless of the branch of armed forces you’re in,” he told The Cannabist. And veterans can be ideal employees, he observed, for the detail-oriented work found in many cannabis grow operations or in jobs such as monitoring dispensary inventory. At least one cannabis company, meanwhile, has set up a training program specifically for veterans. This past summer THC Design, a California-based cannabis breeding and cultivation firm, launched a paid internship and mentoring program for veterans. The program includes a 12-week course that gives vets hands-on experience while learning from growers, strain breeders, trimmers, engineers and others directly involved with the cultivation of cannabis. Jennemann said none of his current crop of interns has any real background in agriculture. But that kind of know-how wasn’t expected, or necessary, for them to take part in the program. THC Design has hired several of the veterans it trained, but Jennemann said the program — which is open source and available online — has benefits for the wider cannabis industry as well. Former Navy machinist Michael Garcia, 35, found his calling with THC Design. “I don’t have to hide who I am. I can just be myself,” Garcia told The Cannifornian, a sister site of The Cannabist. OrganaBrands’ Driessen, meanwhile, said his company is in the process of formalizing a hiring program for veterans; a program he expects to be up and running by January. There’s another, important factor that is drawing veterans to this career path: interest in medicinal cannabis. An estimated 2.7 million veterans have served in the Iraq and Afghanistan theaters since those conflicts began. And the Veterans Administration reports that up to 20 percent of those Afghanistan and Iraq veterans suffer from PTSD. Roger Martin is a veteran who founded Grow for Vets USA, a Las Vegas-based nonprofit that educates veterans about medical cannabis and also gives away donated cannabis to veterans. And he believes that it can be mutually beneficial to have veterans working in the cannabis industry. “No one understands the importance of reliability better than men and women whose very lives often depended upon being able to count on the person next to them getting the job done,” Martin said in a statement to The Cannabist. The Colorado Harvest Company’s Drew has also seen how working in cannabis has helped veterans return to the civilian world.